No visit to Florence feels complete without at least one foray into the narrow alleys of the Oltrarno. This area, located outside the city’s walls, on the oltr’Arno (literally the other side of the Arno), was from the start a working class neighborhood home to the manual trades, especially the fullers, dyers and tanners that needed water from the river. Other artisans followed, pushed outward by the expansion of the medieval city. 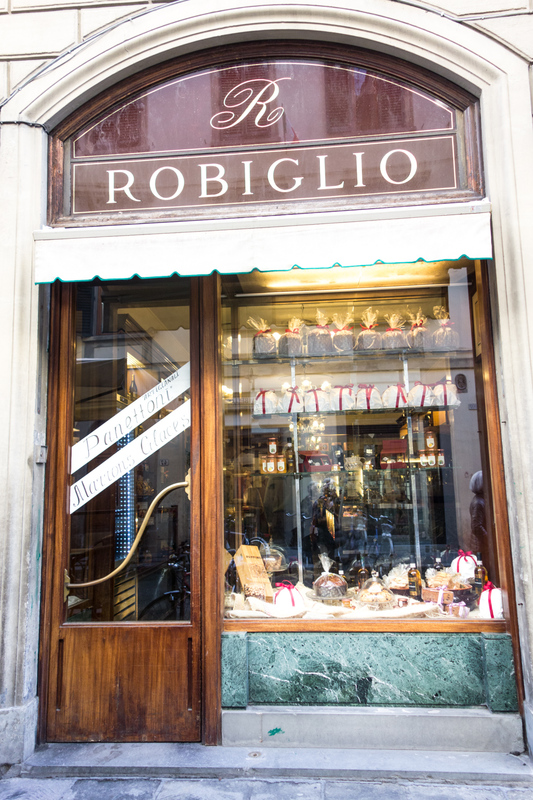 Today their artistic legacy lives on in myriad small shops where the last of traditional Florentine craftspeople carry on their trade. They are the picture framers, gilders, engravers, enamelers and restorers of fine antiques. They still bind books, make marbled paper and fine hand-made leather goods. The Baroque cupola of San Frediano refects in the Arno. 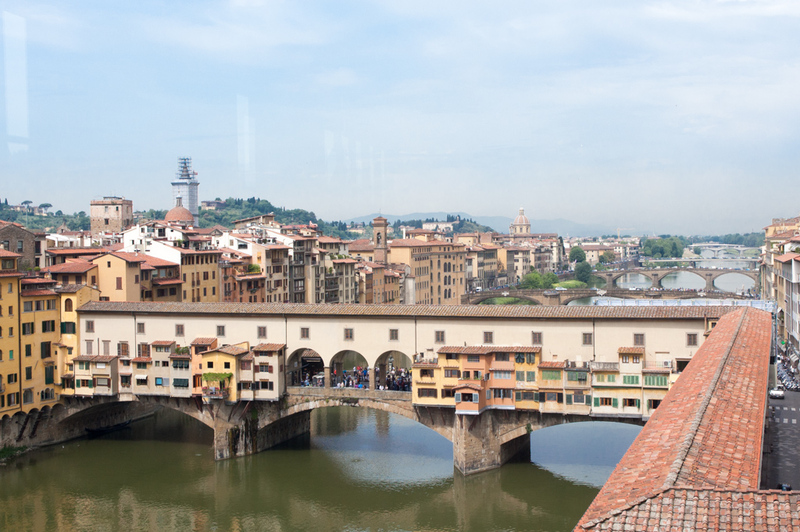 Three of the six bridges of Florence directly link the centro storico to the heart of the Oltrarno. The famed Ponte Vecchio, built at the narrowest point of the river. is now a pedestrian passage jammed with tourists. As was common a millennium ago, it is still lined on both sides with small shops. 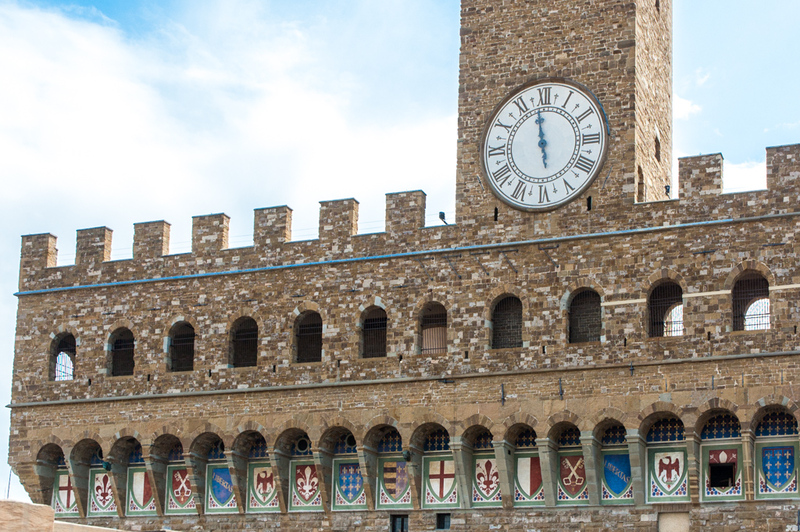 In keeping with a sixteenth century edict from the then Grand Duke of Tuscany Cosimo I, the entire bridge is dedicated to the jewelry trade, but the gold and silversmiths are long gone. These days it has become a garish strip mall of brightly lit storefronts dripping with gold items manufactured around the world. I avoid it in favor of the next two down river bridges. I occasionally I use the Ponte della Carraia about 500 meters (a third of a mile) downstream, for a close look at the Baroque cupola. 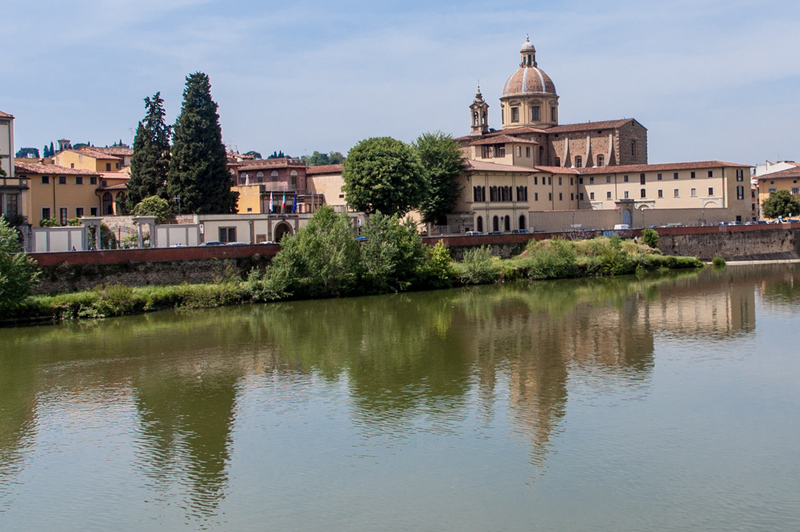 of the Frediano church in the river. But most often, I take the Ponte Santa Trinita, located halfway between the two others. From there, I can enjoy the Ponte Vecchio and the ancient architecture of the Oltrarno riverfront at their photogenic best. 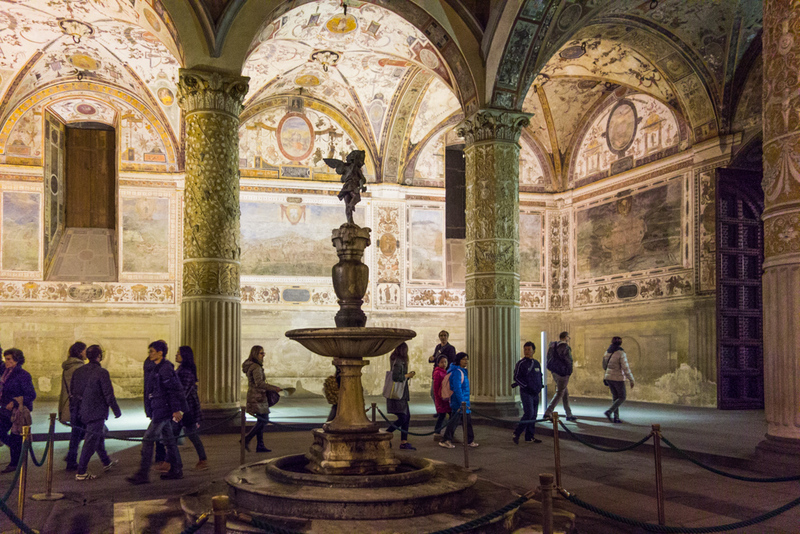 Bernardo Buontalenti’s Fontana dello Sprone stands guard in corner of Piazza Frescobaldi. Besides its spectacular views, the Ponte Santa Trinita has the added attraction of leading me straight to Gelato Santa Trinita, one of my favorite gelateria in the city for its wide choice of decadently rich, freshly made ice creams and its reasonable prices. 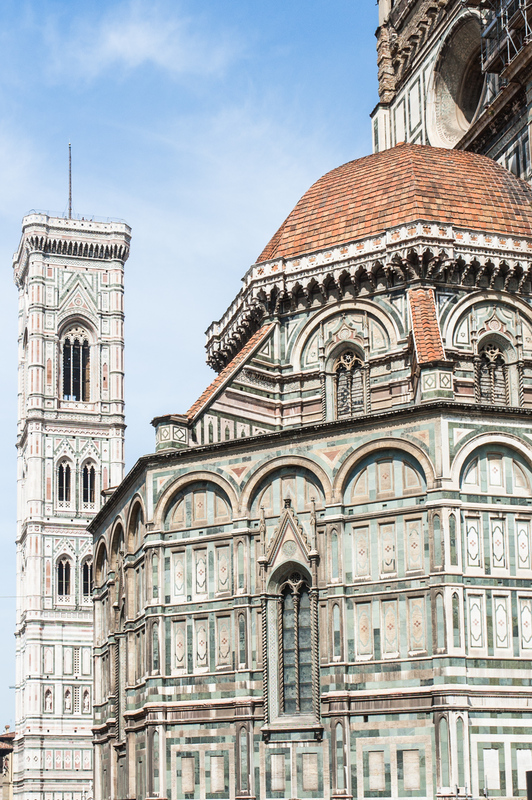 It is located at the corner Ponte Santa Trinita and Piazza Frescobaldi. 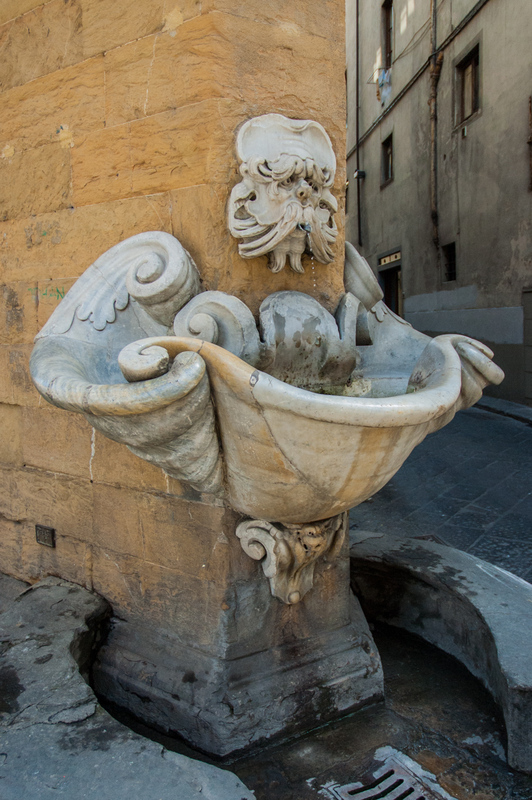 Then, just a few steps away, the far left corner of the tiny piazza is guarded by a favorite Oltrarno landmarks, the striking sixteenth century fountain by Bernardo Buontalenti where water spouts from a grotesque marble mask into an elaborately carved inverted cone basin. Commonly known as la Fontana dello Sprone (the fountain at the corner) it sits at the sharp corner where two ancient streets, Borgo San Jacopo and Via dello Sprone intersect. High on the wall above it, the unmistakable oval white marble shield adorned with six balls reminds passers-by that even this working class neighborhood is Medici country. The Palazzo Pitti’s Boboli Gardens. Palazzo Pitti. Follow either of these streets, and a ten-minute walk later this is extravagantly confirmed when they open onto the rambling Palazzo Pitti, originally built in the mid-fifteenth century as the residence of the powerful banker Luca Pitti, friend of Cosimo de’ Medici (or Cosimo the Elder, 1389-1464). 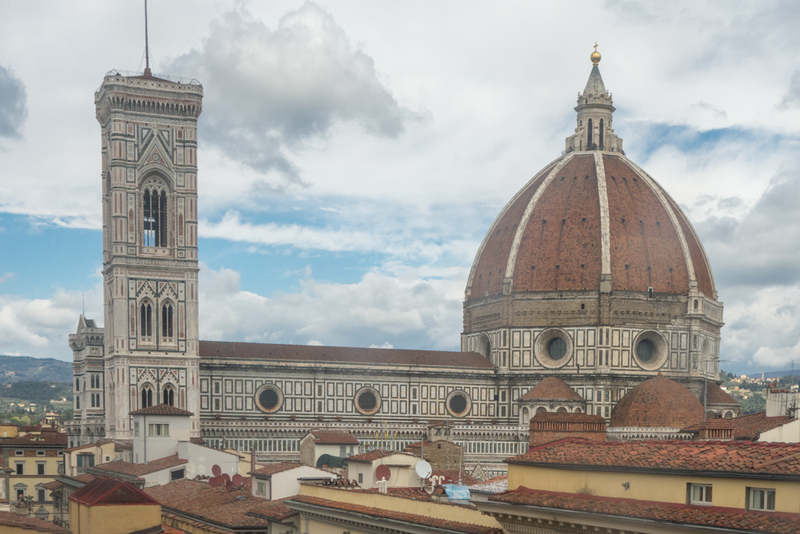 A century later his descendent Cosimo I de’ Medici purchased the palace from the Pitti family and expended it into the grand 32,000 square meter (eight acre) residence that we know today. 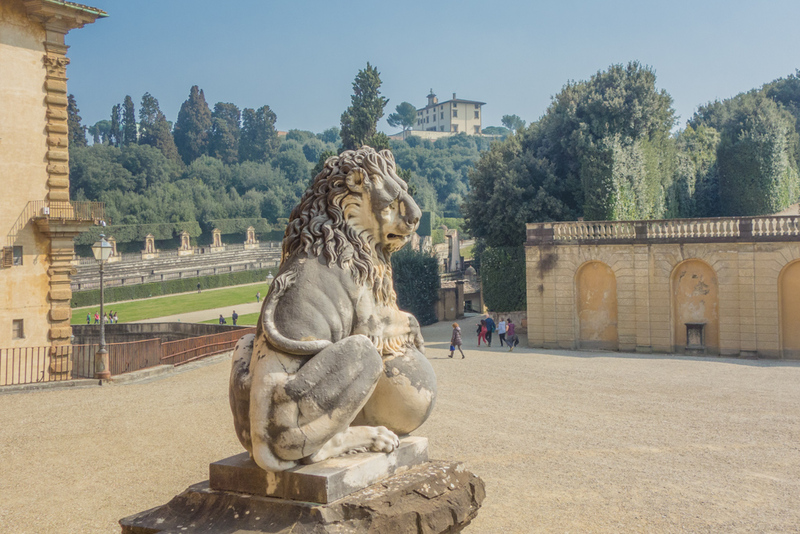 His wife Eleonora do Toledo oversaw the addition of the sumptuous amphitheatre-shaped Boboli Gardens at the rear of the palace. For the next two centuries, the palace was the primary residence of the Grand Dukes of Tuscany. It became an unimaginable treasure trove as the family accumulated a wealth of artworks, jewels, china and furniture. 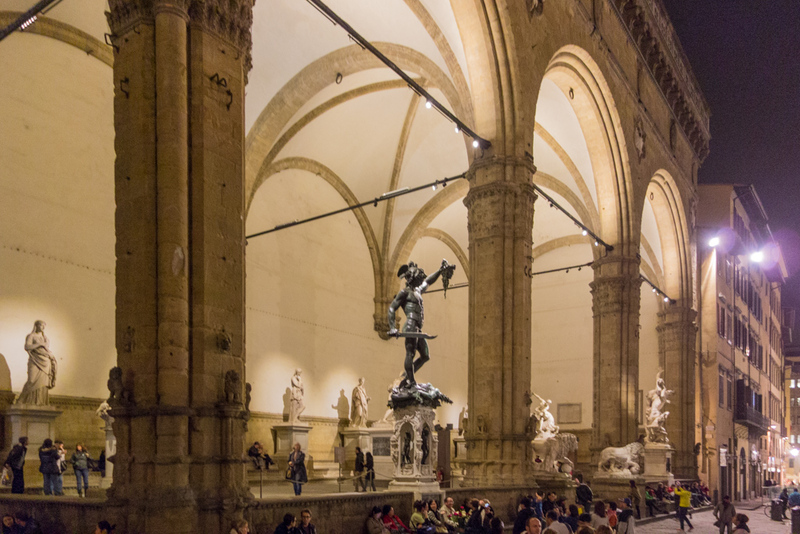 Today is it the largest museum complex in Florence, with a rich collection spanning six centuries and including dedicated silver, porcelain, costume and carriage museums as well as painting and sculptures galleries. 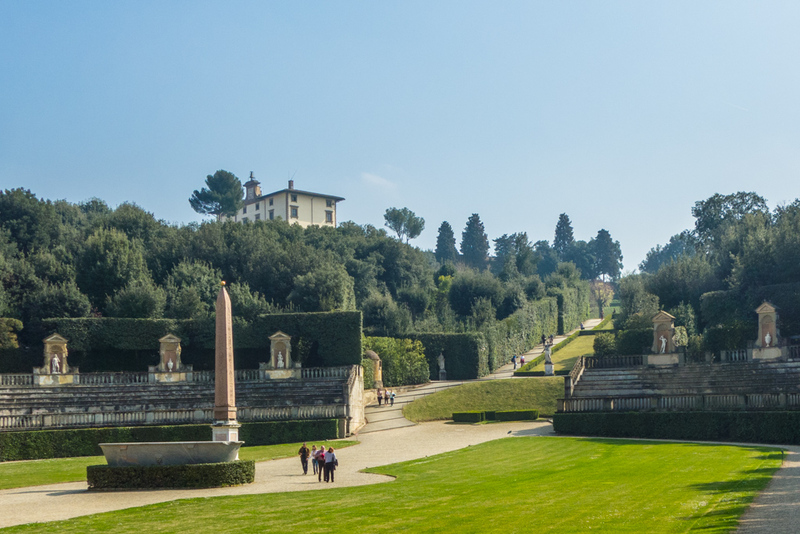 The gardens, enlarged in the seventeenth century to their present 45,000 square meter (11 acre) size have become an outdoor sculpture museum that includes roman antiquities as well as Renaissance works. It’s an ideal place for a serene al fresco escape from the crowds of the city on a sunny afternoon. 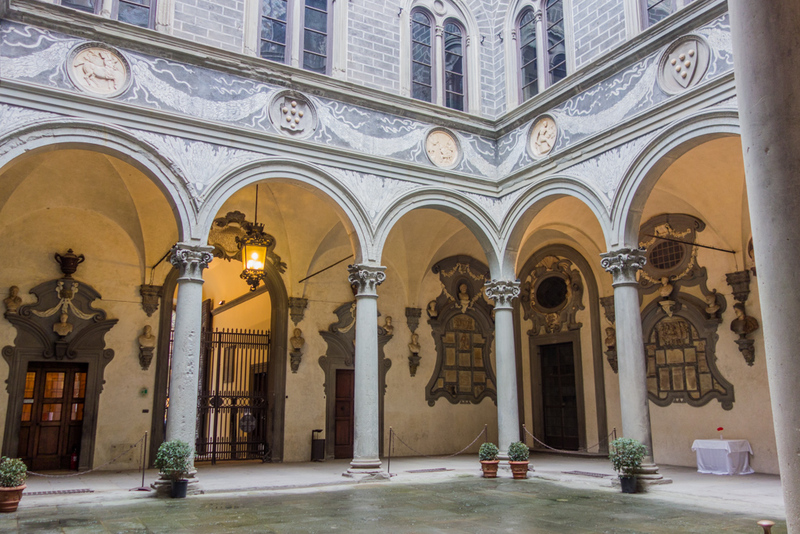 The Brunelleschi cloister at Santa Maria del Carmine. 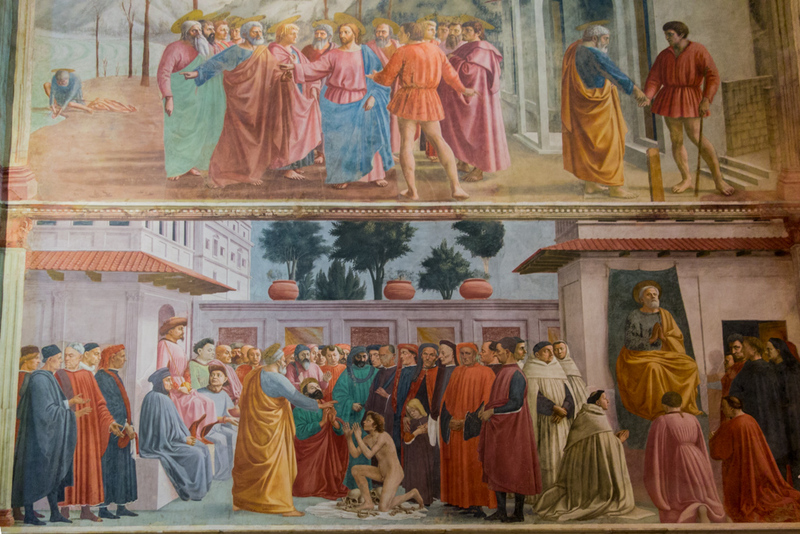 Early Renaissance Masaccio frescoes at the Brancacci Chapel. 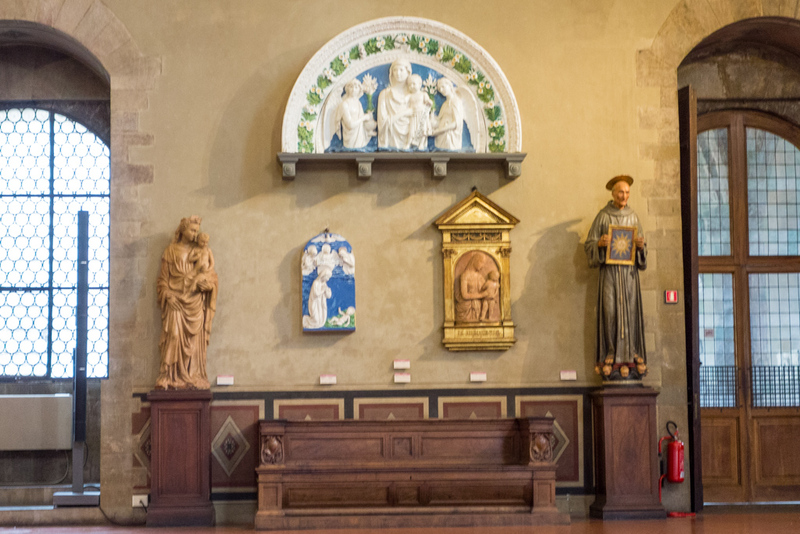 Brancacci Chapel. 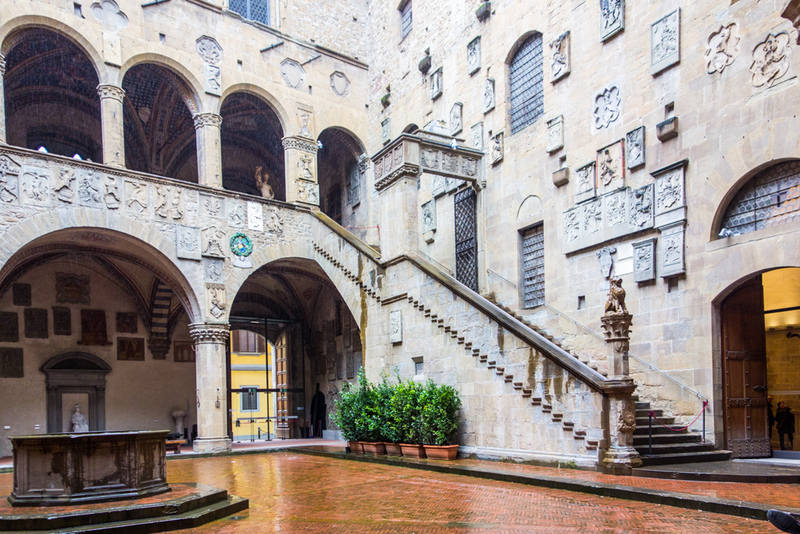 The grandeur of the Palazzo Pitti and the charms of Boboli Gardens notwithstanding, my favorite Oltrarno destination lays a ten-minute walk north through the narrow alleys of the artisans quarters to the Piazza del Camine. 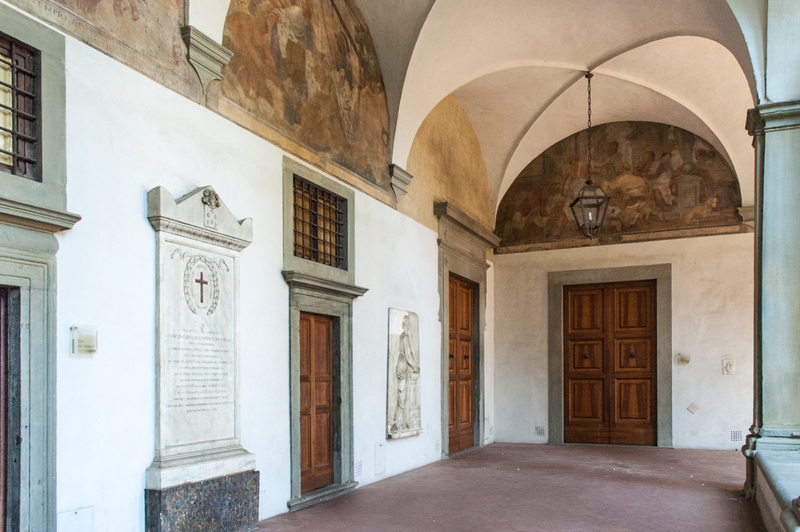 At the edge of this quiet square stands the unassuming, semi-deserted church of Santa Maria del Carmine, part of a Carmelite convent with a graceful cloister designed by Brunelleschi. 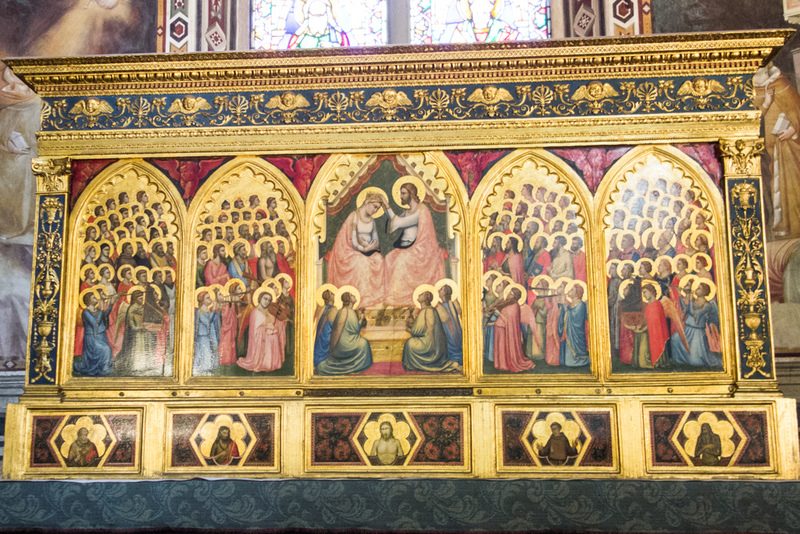 But mainly is it home to the Brancacci Chapel, built in 1386 for a wealthy local merchant, Pietro Brancacci. In 1425 his descendant Felice Brancacci commissioned frescoes depicting a cycle from the life of Saint Peter (the patron saint of the original owner of the chapel) from Early Renaissance master Masolino and his brilliant pupil Masaccio. Their work marked a radical break from the medieval tradition of hierarchical representation (where the most important figures stood largest and most prominently placed) to embrace the nascent Renaissance use of perspective and light to create a realistic human dimension. Here the artists depicted biblical scenes that used the setting and likeness of their contemporaries. 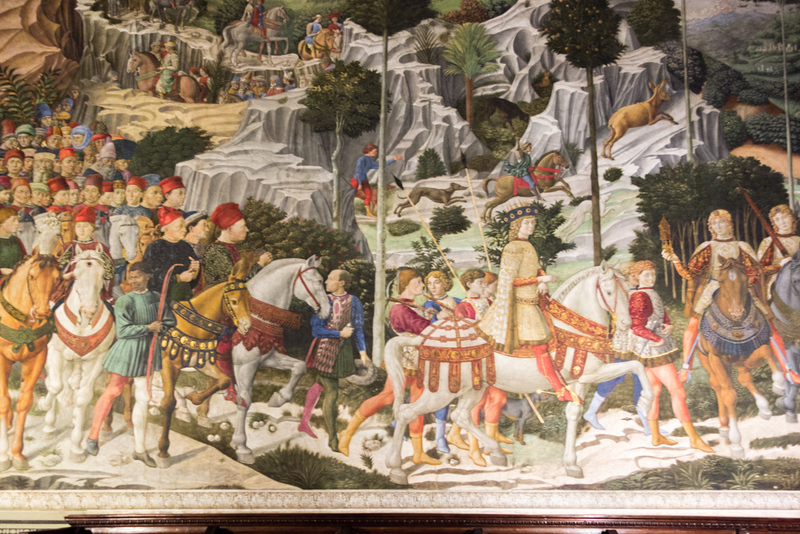 Theses magnificent frescoes are widely regarded as some of the most important work to come out of the Early Renaissance period. 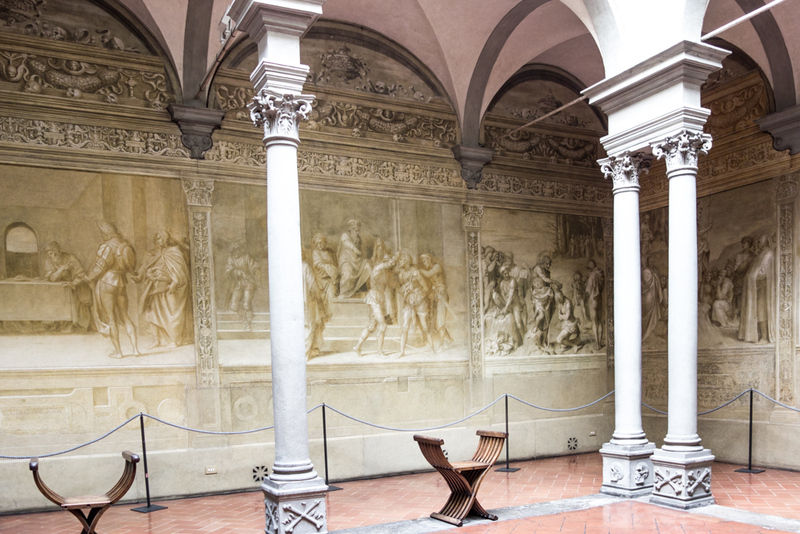 Many Renaissance artists, including the young Michelangelo, are known to have copied Masaccio’s works in the chapel as part of their artistic training. Lo Sprone. No visit to the Oltrarno is considered complete until I have stopped for a meal at tiny Lo Sprone, predictably located on Via dello Sprone. 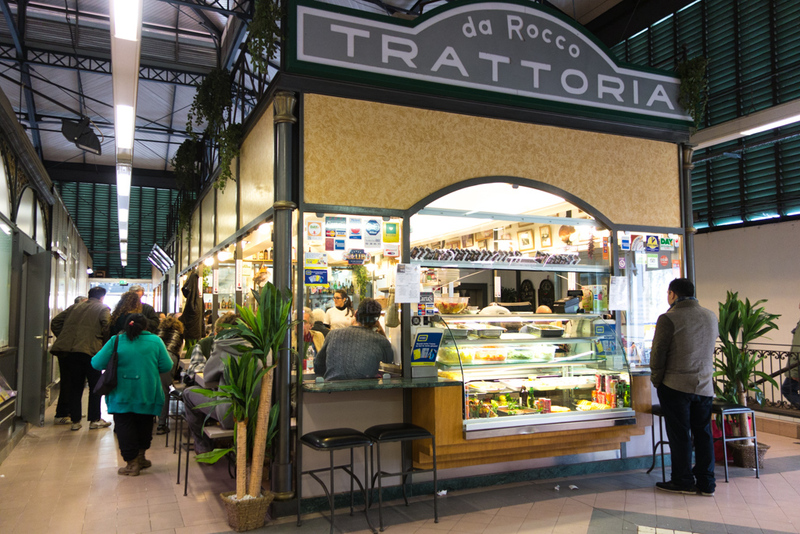 An open kitchen area and seven wooden tables are shoehorned in this friendly hole-in-the-wall storefront where the two friendly owners alternate in the kitchen and dining area to dish out simple, delicious local fare against a background of Opera arias. The pasta dishes of the day and seasonal salads are prepared on demand as is the only constant on the limited menu, a generous meat and cheese board. Good Tuscan wine is served by the glass. And best of all, the prices too are tiny. 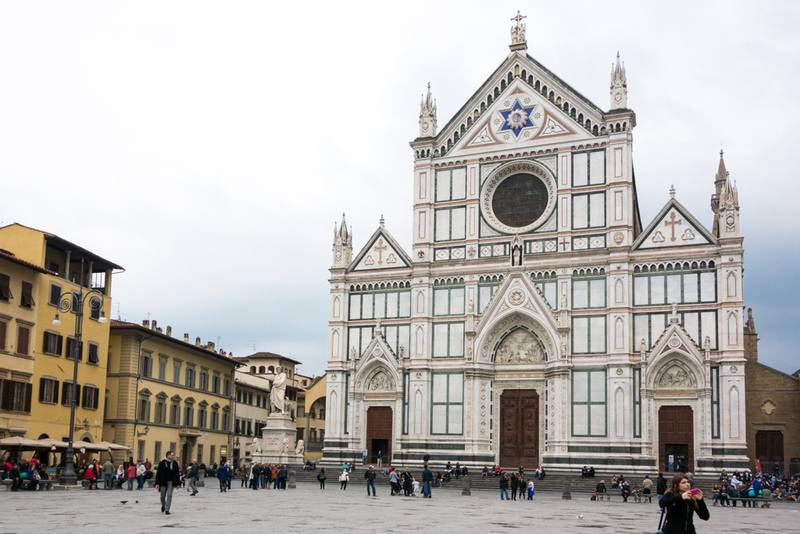 Next I am setting out beyond Florence and explore the back roads of Tuscany. Until then, Ciao!